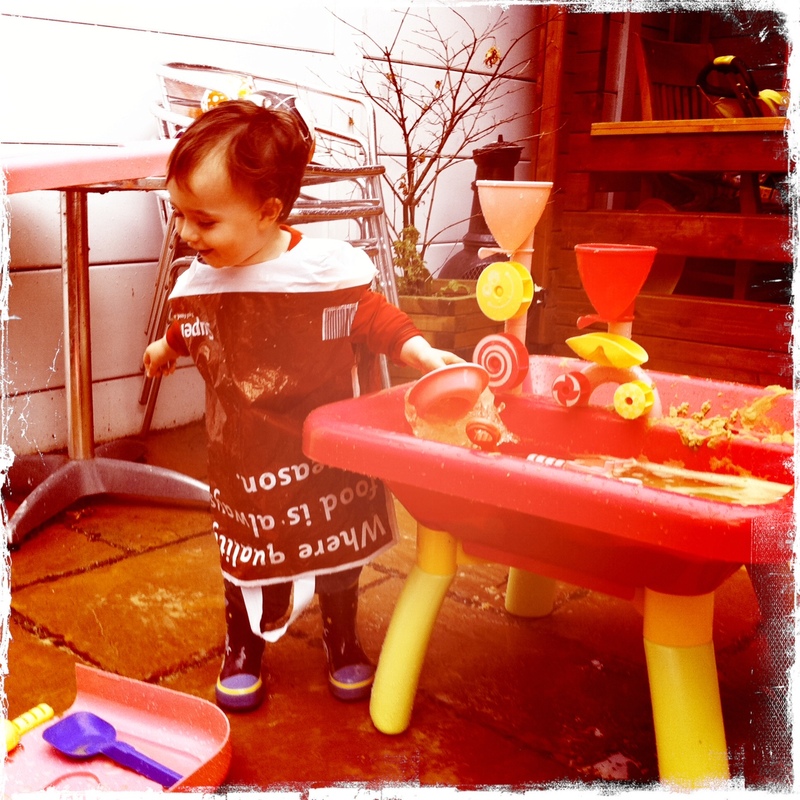 Home » Play » Wordless Wednesday: Making do with what you’ve got! Little Man’s been having great fun recently playing with his sand and water table. But it’s a messy business. After the third change of the day, I got a bit tired of all the wet and soggy clothes – but Little Man’s rain jacket was already soaked through to the lining. Not wanting to spoil his fun, we had to get a little bit inventive with our “water protection gear”. Who knew grocery bags could be so multi-functional?! Thanks Ady! Yes, he was delighted with himself!